What does a typical software development project entail? It entails developing applications, databases and user interfaces. What are the requirements for a high-quality software delivery? You need a combination of best practices, tools and productive resources. Continuous integration or CI, in short, is the software engineering practice to deliver high quality software. 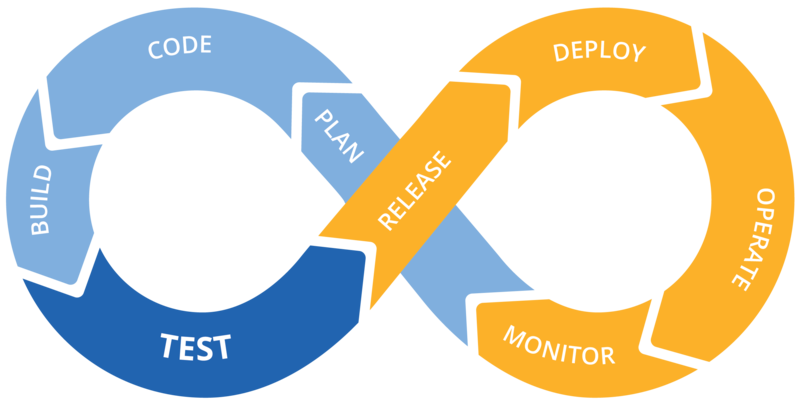 The Continuous Integration and Continuous Delivery are the practices that help deliver productivity, quality and speed in your development process. The purpose of CI is to prevent integration problems that occur too late in the development cycle. The practice helps to improve the work in progress copy of the developer’s code and address quality issues early in the development cycle. Additionally, during CI unit and integration tests are performed in addition to static and dynamic tests for effective measurement and provide an insight to the application’s performance. CI is known to give a more transparent picture to the entire project team on a continuous basis. What are the top 15 tools to implement Continuous Integration? Written in Java, Jenkins is a cross-platform and open source Continuous Integration application. It was earlier known as Hudson Labs and used to monitor execution of repetitive jobs. Organizations use Jenkins for building or testing while building software that needs to be continually integrated. Users have also appreciated Jenkins as it is easy to install and configure. The developers get an e-mail/real-time notification on experiencing errors and there is a provision to tag builds even after they are completed. Jenkins extends support to 3rd party plugins. TeamCity is an intelligent tool that helps users to run a stable build and trunk. The tool allows developers to run automated tests on the server even before making the changes. So, it ensures that the code base is clean always. It gives real time build progress reporting and various ways in which the user can get a notification. Team Foundation Server or TFS is a build automation tool built on top of MSBuild. It integrates with other Visual Studio Team System tools and is known as to provide an end-to-end build process. TFS is known to offer all the features that are required during the continuous integration process. It is recommended for enterprises that extensively use Microsoft since Microsoft technologies, tools and Visual Studio are closely integrated to provide a higher value to them. Related Read : WHAT ARE THE TOOLS THAT ENABLE CONTINUOUS INTEGRATION? CircleCI helps teams with a complete deployment process with build automation and test automation. It can provide custom integration with leading build tools, provides seamless integration with AWS, Google Cloud and others. The tool uses language-specific tools to confirm that dependencies are installed in an isolated environment. This tool provides a platform for a rapidly growing code. GitLab gives a single dashboard for issue management, code views, continuous integration and deployment. The tool is known for a user-friendly UI and supports with a comprehensive documentation. The platform supports teams with Docker and Microservices. It is easy to setup even for complicated microservice architectures and enables a concurrent pipeline for a streamlined deployment flow. It clearly distinguishes between errors and bottlenecks in the process. This is a windows-based tool that is cloud-based and enables testing, building and deploying of Windows applications. Windows developers use this tool to test and deploy applications in the physical server or cloud. The sole purpose of this integrated platform is to streamline the way apps are pushed into production, tested and built for stability and security. It combines continuous integration, automation, and deployment on a single platform. This is a CI server that is used for release management of software and applications. It allows teams to build delivery and streamline pipeline. It also gives the option to mobile app developers to automatically deploy their apps in App Store and Google Play. This is a cloud-based Continuous Integration and Continuous Delivery server that can build, test and distribute mobile applications. It offers a direct approach and no human intervention so mobile app developers don’t have to worry about maintaining their CI workflow. PHPCI is an easy to use and simple CI platform for PHP developers. This platform ensures that apps are stable and process is streamlined quickly. It is able capable of creating demo environment with test databases. This software automates the build process and can easily integrate with the CI servers including Jenkins. It has a huge library of predefined actions that ca help improve automation of the build process. CABIE is a Perl coded continuous automated integration and build environment. Known as one of the topmost trusted CI tools, it is a popular choice when it comes to Open Source. It provides MySQL support and easy to use web interface. This software is known for making continuous integration by using build automation easier and faster to manage and control. It also speeds up the software compile and link process. Meister comes with several compiler plugins and has a dependency management system. This platform comes with a large set of plugins that allow developers to create custom configurations that can help with their development requirements. It requires simple installation and low maintenance. The platform enables isolates builds in docker containers. To know more about any of the CI tools listed above, speak to one of our experts.